xorlab is a spin-off of ETH’s Laboratory for Software Technology. Their core technology, SploitGuard, prevents sophisticated software-based attacks such as client-side attacks, spear phishing, watering hole, and drive-by infections by scanning files and websites and detecting those that exploit previously unknown software vulnerabilities. 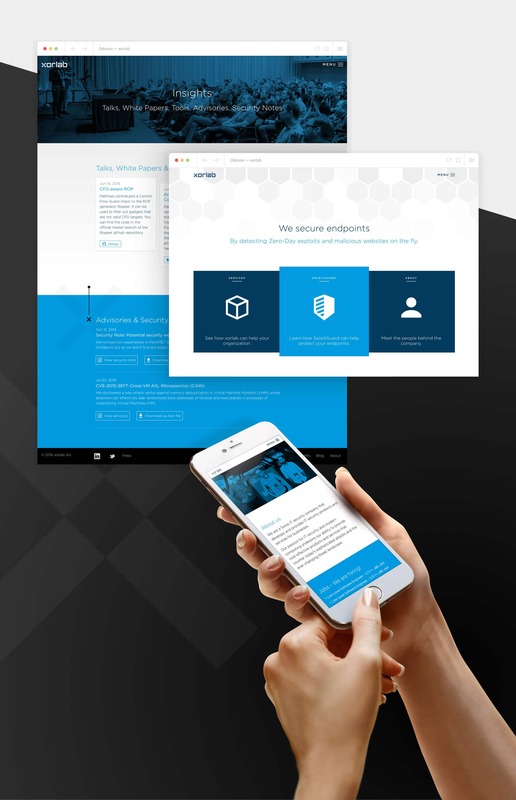 xorlab came to Odoson looking to have their new logo design and style extended to a new web site and series of marketing materials in order to officially launch their product at the 2016 CeBIT conference in Hannover, Germany. While xorlab liked the logo and branding that another design agency created when the company was established and wanted to keep it, they quickly outgrew the basic design guidelines developed for them. xorlab needed a more robust set of guidelines for both web and print. These guidelines needed to not just harmonize with everything they already had – they needed to capture the attention and interest of security experts and businesses, two groups with often distinct perspectives and preferences. Our work began by creating a responsive website where “serious” is not synonymous with “boring.” To this end, we created various adaptable elements that complemented xorlab’s already existing visual language and developed ways of using existing brand elements in new ways. 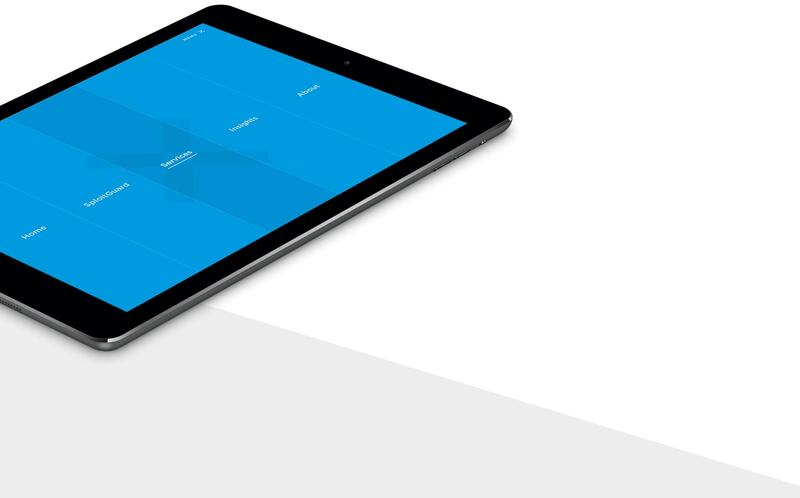 Together, the resulting designs add functionality and clarity to xorlab’s website. The website then set the tone for all new marketing materials. We followed a similar progression to create concise brochures that explain xorlab’s products and services. 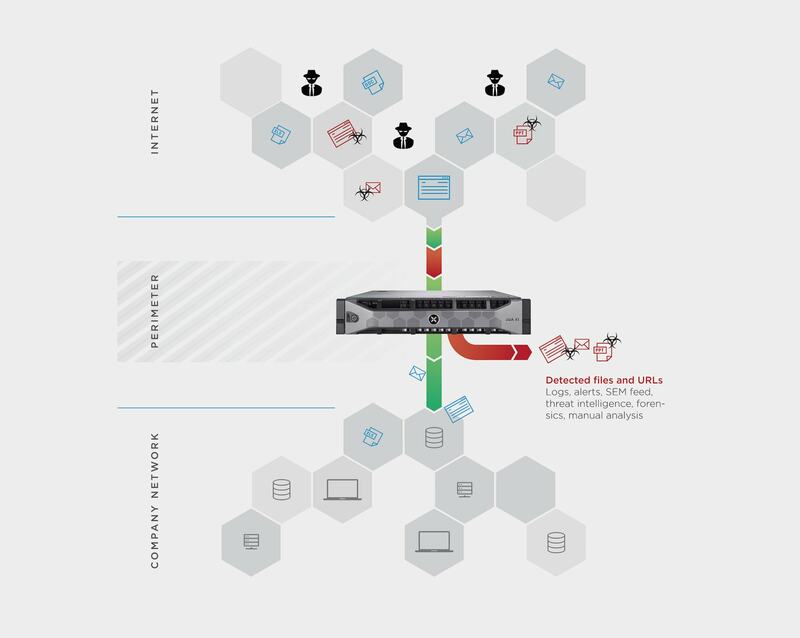 In these brochures, clearly-organized content is complemented by charming, yet minimal illustrations that condense the complicated processes under the hood into an easy-to-understand diagarm. 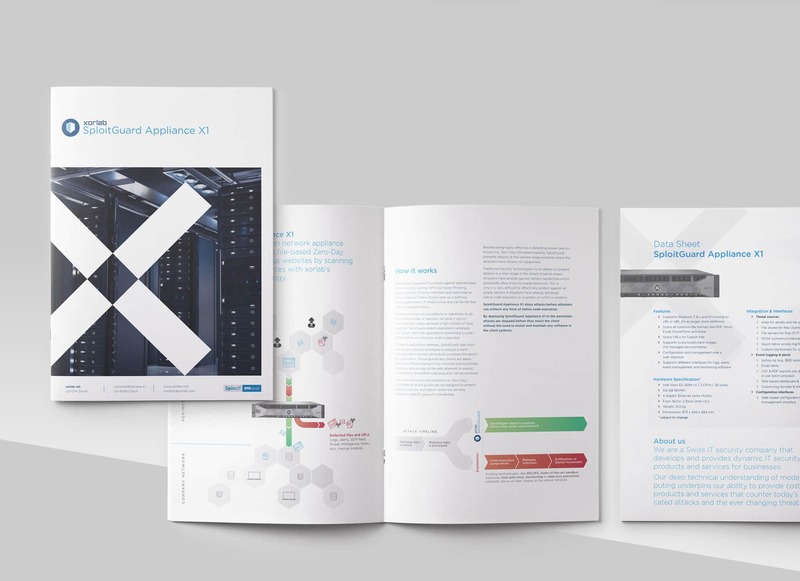 The product brochure of xorlab’s “SploitGuard Appliance X1” makes full use of xorlab’s updated, more comprehensive brand guidelines. The design language underlines both the specific strengths of the product as well as xorlab’s broad commitment to keeping data secure. 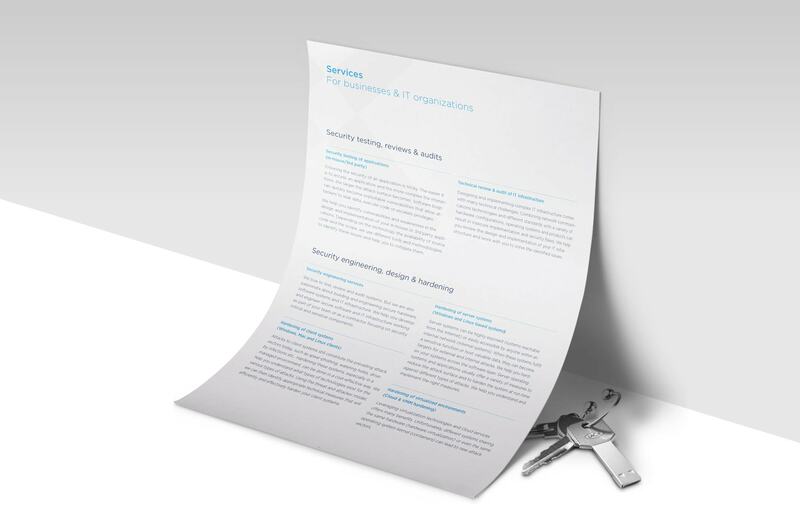 The services xorlab provides are arranged onto individual sheets so that xorlab employees can tailor the information they provide to potential clients to their interests. These pages smoothly complement the product brochure. How xorlab works for clients is condensed into an explanatory diagram that falls in line with xorlab’s new extended branding guidelines. The same hexagon pattern from the diagram is then used on the front of xorlab’s flagship device, the SploitGuard Appliance.